Five artists have generously given their artwork for the design of an exclusive range of limited edition deck chairs for our pop-up exhibition ‘She’ which was held in Aldeburgh. 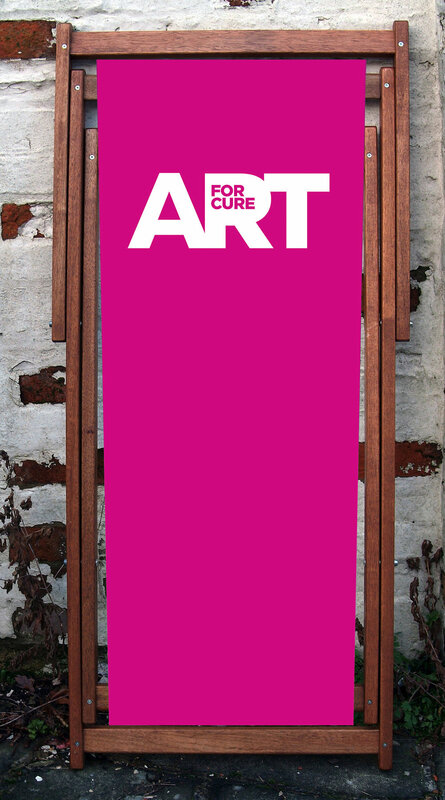 In addition, there is a further Art For Cure deck chair for sale with our logo in fuschia pink. Each deck chair is available as a limited edition of 50 and will be available to order at an individual price of £150 by clicking the link below . The artists are not taking any commission on any sales and the money raised will go directly to Art For Cure for their fund raising. We are extremely grateful to all five artists for their tremendous generosity. The artists involved are Sarah Muir Poland, Anna Hymas, Maggi Hambling, Sarah Baddon Price and Henrietta Dubrey. Frames made from FSC Malaysian hardwood treated with teak oil which provides excellent outdoor protection, enhancing appearance and extending their working life. Purchase price of £150 includes delivery to UK Mainland addresses.